From the Animatron Editor: to begin working on a New Project, open the Main Menu and select “New Project” (Hotkey: Alt + N). 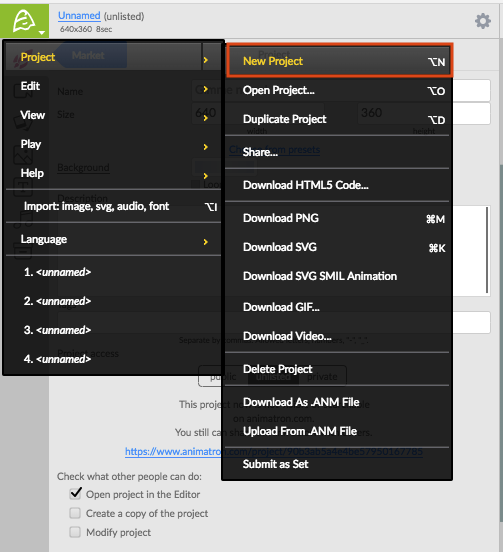 From the Animatron website: click on the “Create Animation” button in the upper-right corner of the web page. Note: Every New Project will be saved with the Title “Unnamed Project” until you choose to rename it within the Editor.